Made of NASA-inspired materials, these pull-up wellness briefs absorb large amounts of urine to keep you dry and odor-free. With 8 hours of protection, you’ll get a good night’s sleep and feel confident during travel or social events with this absorbent underwear. 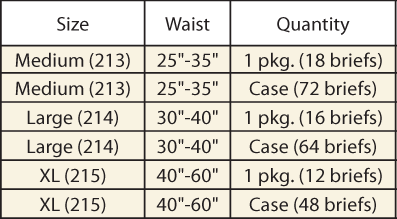 Specify size: Medium (19”-30”), Large (30”-40”), XL (40”-60”) or 2XL (60"-80"). These briefs really do the job as promised! My overactive bladder condition occurs at night. With these briefs, I do not have to worry if I don't wake up timely. And, most importantly, I no longer need my medication...which caused severe dry mouth. So, two problems are solved and I am extremely pleased. I purchased this product for my mother on a monthly basis. She loves wearing them compared to other products I have purchased from the store. They are comfortable and fit well. Great product for over size person. Hoping to find more comfort and protection. This is my first purchase of this item. My mother loves these for their absorbency & size. It holds the water at night and no leakage. It works better than anything else I've used. Want to see if this works any more effectively than the ones we have been using. Best there is for overnight. Briefs are dependable and comfortable. : hoping this will work better. They work well according to my wife,and are reasonably priced! Already use these. They fit, are comfortable, great buy. Obtained a couple sample offers... These seemed best fit & quality. The best of the lot...excellent fit and finish! Not able to find 2XL in stores. Purchased XL for husband and did not fit well. 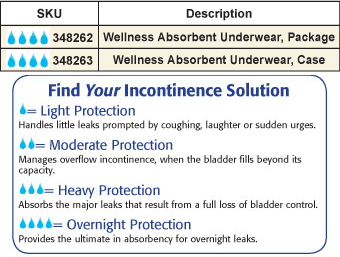 Received catalog and these briefs have a high star rating so will try and see if these are the answer. They are the best that I have found after a great deal of experimenting. They fit, don't fall apart like Depends and they are comfortable. I am incontinent, these are NASA approved. I hope they work. 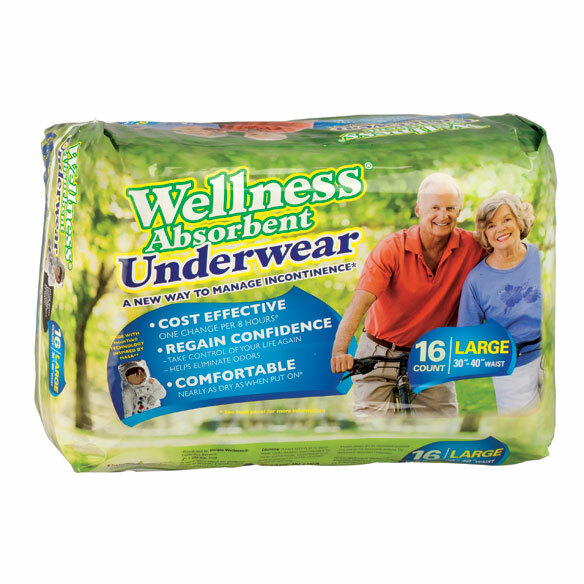 This is the best incontinence product out there. You can travel with confidence again! These hold the water without leaking. We are going to Dallas Texas from Hartford Connecticut and I want my husband to have maximum protection for the trip. Looking for a comfortable brief to wear. Sampling two manufacturers. they work very well at night. They are big enough for my mother. 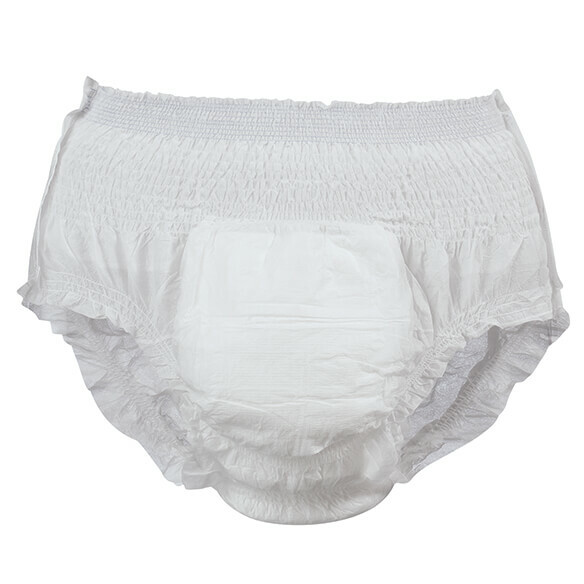 Excellent protection for a short period 5 to 6 hours. I need to feel confident while traveling long distances. Because it came in a 2XL which is what I think I will need. I'm hoping they will fit well as well as protect and be comfortable for him. I have been searching for something for my overnight incontinence issues. These seem like they will do the trick and come in a large enough size. Does this brief have easy rip off sides? BEST ANSWER: Yes it does and while they hold securely they are very easy to rip. Yes, Sylvia the sides tear off easily. How many briefs are in an XL size pkg.? BEST ANSWER: I get the XL by the case. This product is terrific; I need it 24/7 and it fills the bill very nicely. I get the auto-refill as well. Thank you for your question. The XL comes with 12 briefs. We hope this information will be of help to you. Do these have a dam in the crotch area? BEST ANSWER: yes. Hope this helps! will these fit a 300 pound person? Are these breathable, other products make me sweat? BEST ANSWER: I use these for my husband and he doesn't have a problem with them making him sweat. They fit and work well for him. Mine are fine and I do not sweat. How many in pkg of 2x briefs? BEST ANSWER: Thank you for your question. The package has 12 briefs and the case has 48 briefs. We hope this information will be of help to you. Do these have any scent? BEST ANSWER: Thank you for your question. No this item is scentless. We hope this information will be of help to you. how many ounces do they hold? BEST ANSWER: Thank you for your question. These will hold up to 2,000mL or 67oz. We hope this information will be of help to you. I cannot approximate the ounces. I can only say I have severe incontinence and only purchased this product the one time because it did not serve me well. How many med. are in a case? BEST ANSWER: Thank you for your question. There is 18 in a package and 72 in a case for size Medium. We hope this information will be of help to you.